In the ongoing debate about the “energy paradox”, a recent stream of literature highlights the importance of behavioural anomalies such as bounded rationality and self-control problems. However, the role of individual-level factors in explaining the energy paradox is still not fully understood. Combining literature on behavioural anomalies and consumer heterogeneity, the current paper analyses how individual differences influence the perception of energy-related information and susceptibility to choice-framing effects. A choice-based conjoint experiment about energy-saving home improvements was conducted with 363 homeowners in Switzerland. Results show that numeracy and energy literacy have no influence on how much attention individuals pay to energy cost savings. However, impulsivity and risk aversion are found to significantly impact homeowners’ weighting of future energy cost savings. Further, it is found that impulsive homeowners are significantly more susceptible to energy cost-framing effects. A key implication for consumer policy is that general educational programs targeted at enhancing citizens’ knowledge and cognitive abilities are unlikely to increase energy conservation investments. The findings further suggest that consumer policies and business models aimed at reducing impulsiveness and influencing risk perception might foster the uptake of energy-saving measures in the residential housing sector. We thank two anonymous reviewers for their constructive feedback on an earlier version of this paper. The authors thank the Swiss Federal Office of Energy for funding the survey described in this research article. The research is part of the activities of SCCER CREST (Swiss Competence Center for Energy Research), which is financially supported by the Swiss Commission for Technology and Innovation (CTI) under Grant No. 466 KTI.2014.0114. Suppose you had 200 CHF in a savings account and the interest rate was 10% per year. After 2 years, how much would you have in this account in total (in CHF)? Suppose you had 100 CHF in a savings account and the interest rate was 2% per year. After 10 years, how much do you think you would have in the account if you left the money to accumulate? Imagine that you replaced your current heating system with a more energy-efficient heating system that saved you 100 CHF per year at current energy prices. Now suppose that the energy prices increased by 20%. How would that influence the payback period of your new, more energy-efficient heating system? Which end use constitutes the largest part of an average Swiss households’ energy consumption? In which unit is household electricity consumption usually measured? How much energy does an average person use during a 5-min shower? Which source of electricity contributes the most to overall Swiss electricity production? I get easily bored when solving thought problems. I am more interested in the present than the future. Andor, M., Gerster, A., & Sommer, S. (2016). 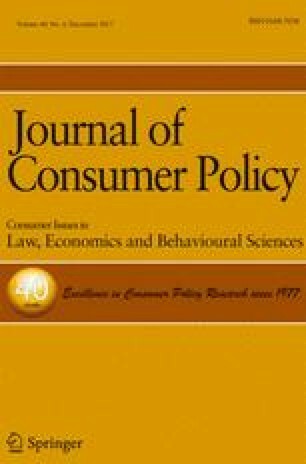 Consumer inattention, heuristic thinking and the role of energy labels. Retrieved from https://EconPapers.repec.org/. Accessed 06 Dec 2016. Gabaix, X., & Laibson, D. (2005). Bounded rationality and directed cognition. Harvard University. Retrieved from https://scholar.harvard.edu/xgabaix/publications/bounded-rationality-and-directed-cognition-working-paper. Accessed 10 Dec 2016. Harrison, M. (2010). Valuing the future: The social discount rate in cost-benefit analysis. Available at SSRN: https://ssrn.com/abstract=1599963. Accessed 2 April 2016.